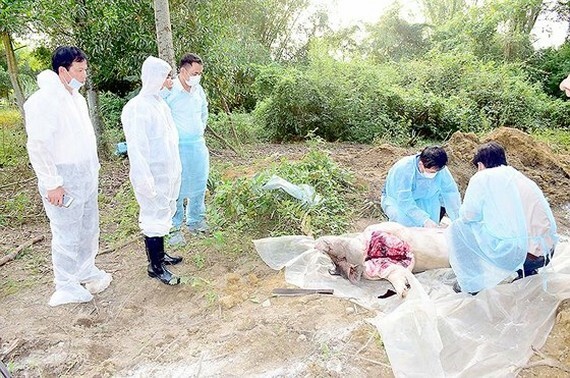 The cause of African Swine Fever (ASF) outbreak in Hien An hamlet in the central province of Thua Thien – Hue’s Phong Dien District is being investigated, said Chairman of the district People’s Committee Trinh Duc Hung on March 19. According to the initial investigation’s result, the breeder of the infected animal fed their pigs with foodstuff instead of leftover. The farm is located in an isolated area and the breeder did not consume pork prior to the outbreak. Additionally, just mountainous Phong Son commune, 15 kilometers away from National Highway 1A, reported the outbreak of ASF whereas other localities along this highway have not. In order to prevent the disease from spreading further, the government will do its utmost by setting up quarantine stations and examining slaughterhouses to stop illegal culling, sales and consumption of unsafe pork in Hien An village. 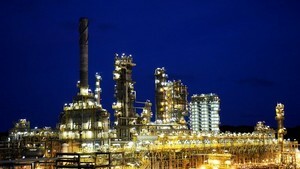 On that same day, Chairman of People’s Committee Nguyen Duc Chinh in the central province of Quang Tri issued Decision No.582 to establish a temporary quarantine station on National Highway 1A in the province’s southern part bordering with Thua Thien-Hue with six officials who started working relentlessly from March 19. The authorities in the southern province of Dong Nai yesterday proposed the Central Government to take stricter control over transportation of pigs and pig products, said Head of Dong Nai sub-division Husbandry and Animal Health. Moreover, the authorities wanted the government to consider halting transportation of pig from the North to the South as well as to stop import of frozen pork from ASF-infected countries, he added. In addition to Ong Don quarantine station on the National Highway 1, another quarantine station has been set up on the National Highway 20 to examine pigs and pork products from Central Highlands provinces into Dong Nai. The Vietnam Farmer Union and the Ministry of Agriculture and Rural Development discussed how to detect and preventative measures against ASF, but still, encourage the consumption of safe pork on the same time. According to the Department of Animal Health’s, Vietnam’s swine fever outbreak has spread to 294 communes in 62 districts of 19 provinces and cities, and more than 34,700 pigs had been culled as part of measures to prevent further contagion. It is important to instruct breeders how to identify the disease to report outbreak in time, said Head of Epidemic Office Nguyen Van Long. All kinds of pig are highly likely to get the disease and then died; therefore, if any sudden deaths occur, breeders must inform local authorities and related agencies, take proper measures to bury dead pigs, and quarantine the farming areas, said Mr. Long. Breeders are strongly advised not to conceal the outbreak, dispose of sick pigs in the open environment and conduct any trading.